The new national CLOCS Standard version 3 came into effect on 1 January 2019. FORS members accredited to FORS Silver against version 5 of the FORS Standard automatically comply with the fleet operator requirements of the CLOCS Standard, with their FORS Silver certificate providing evidence. In addition to FORS accreditation, FORS members can also become a CLOCS Champion and enjoy the benefits of CLOCS Champions status, but this is optional. 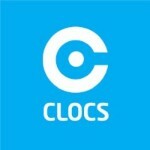 CLOCS Champions are fleet operators, regulators (planning/highway authorities), construction clients, principal contractors, vehicle/equipment manufacturers and trade bodies who recognise the need to promote and implement the national CLOCS Standard to ensure the safest construction vehicle journeys. Over 350 organisations are now CLOCS Champions, with CLOCS recently introducing an annual fee of £600 to become a CLOCS Champion in order to provide better support and extend the adoption of CLOCS to every UK town and city.